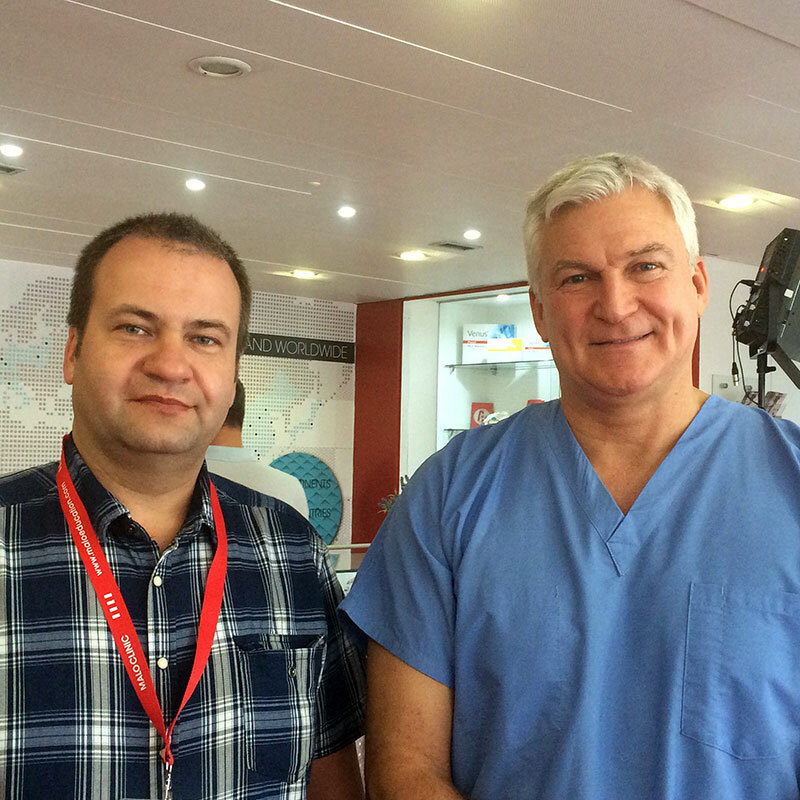 The use of a digital protocol and the use of a surgical template allowed us to reduce the cost of the surgical stage and еру duration of operation! 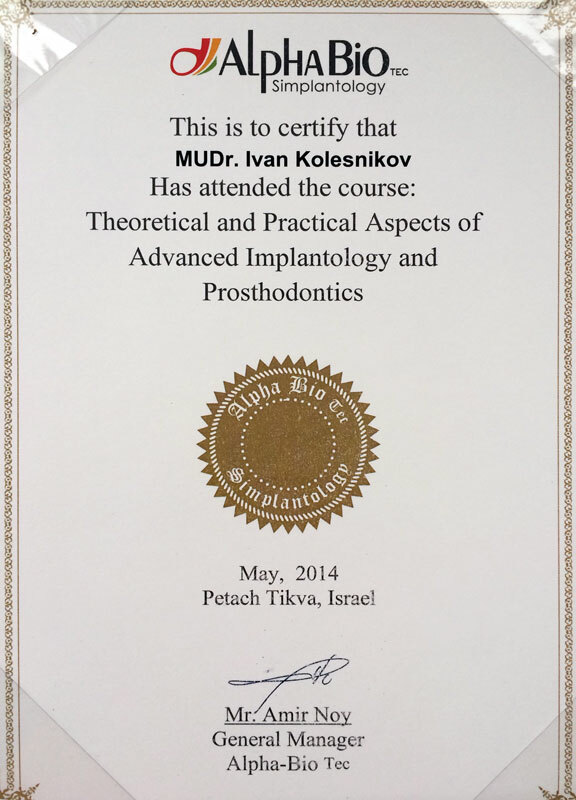 Every Monday from 8am to 1pm by an dental implant surgeon Kosteniuk M.
Every Thursday from 4pm to 8pm by an dental implant surgeon Kolesnikov I. By agreement, we can reserve hotel accommodation, car parking, transfer from airport. 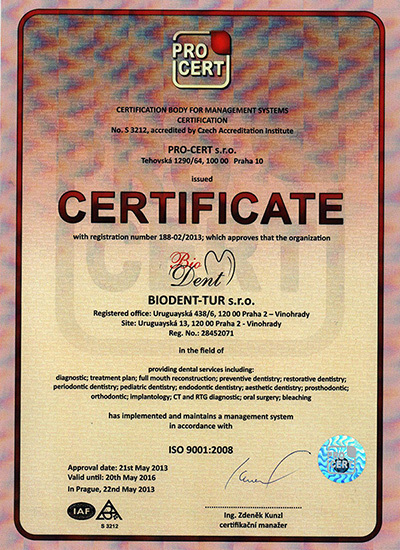 All procedures: diagnostics, dental implants placement and prosthetics are performed by certified dentists directly at the BioDent clinic. 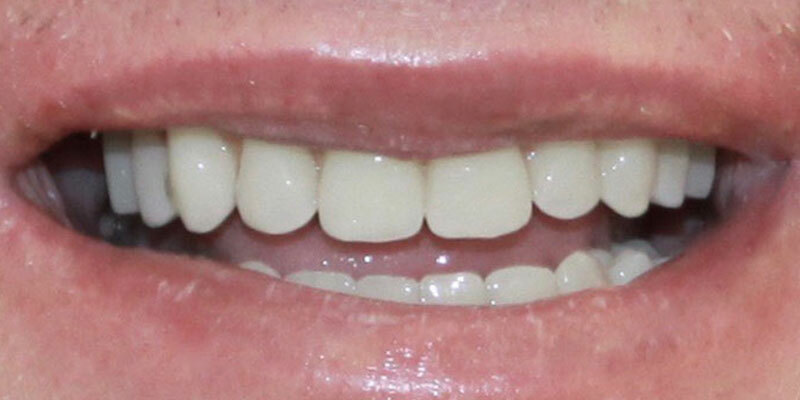 Temporary denture – FOR FREE! 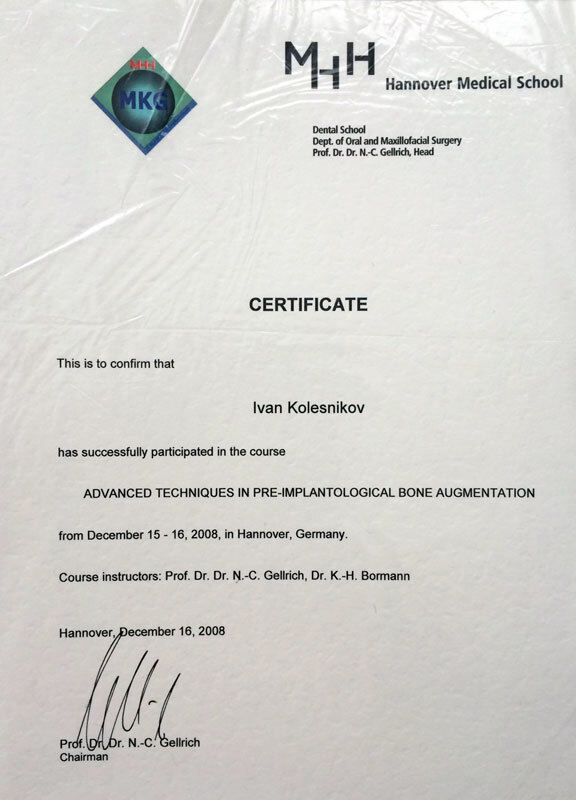 The operation is conducted by leading specialist of our clinic - PhD. 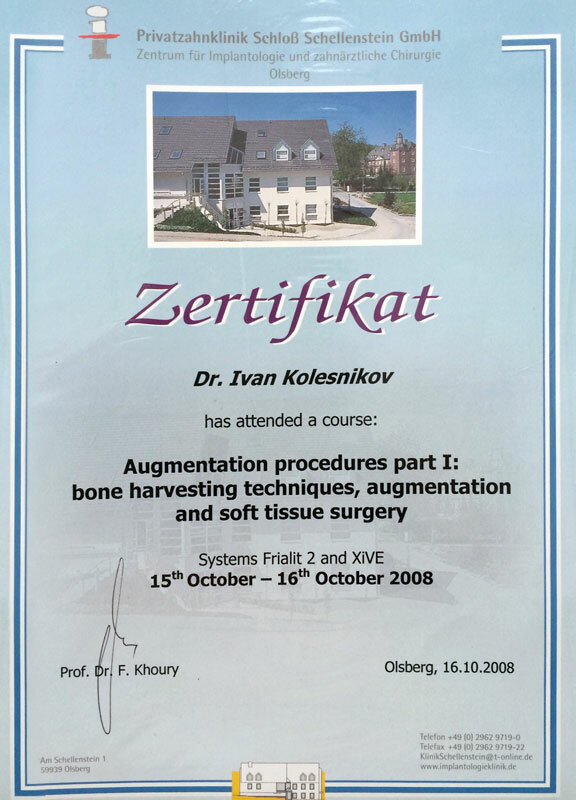 Kolesnikov Ivan Sergeevich, maxillofacial surgeon, dental surgeon with more than 20 years practice, a member of the ITI (International Team for Implantology), a member of the Czech Dental Chamber (Česká Stomatologická Komora). 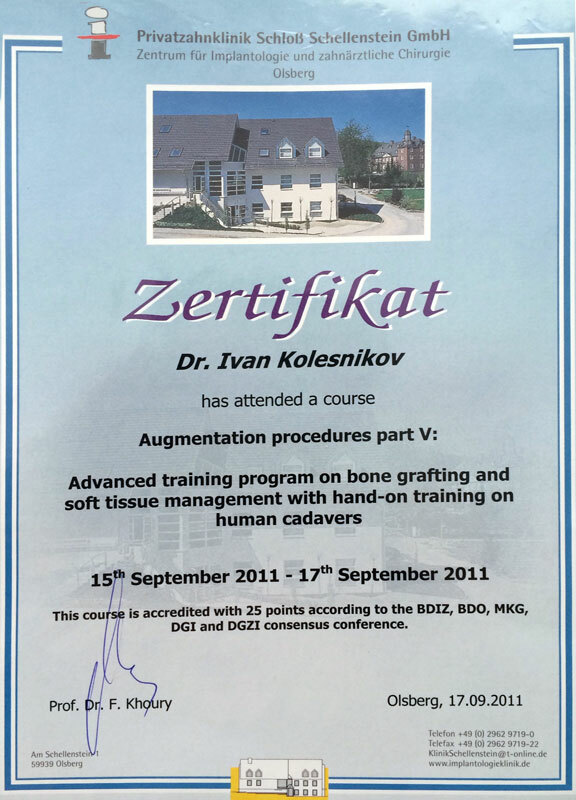 Specialization - installation of dental implants in difficult situations, bone grafting, microsurgical gum plastic. Certifications. 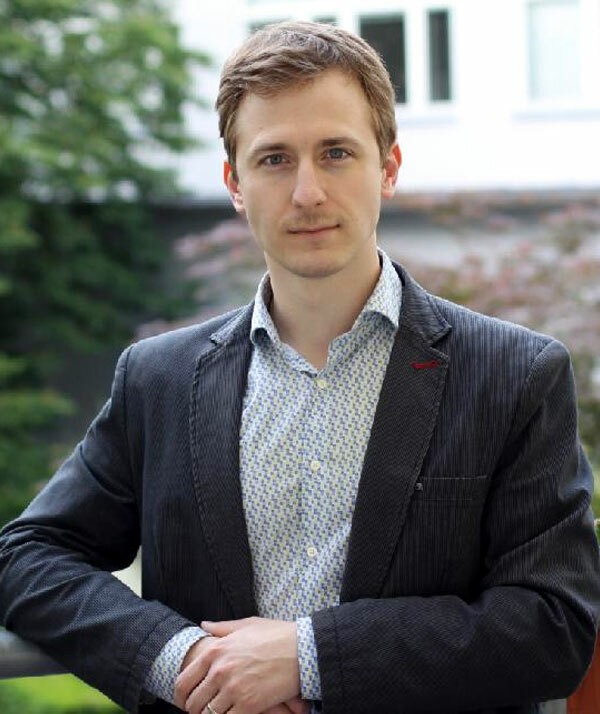 Mikhail Kosteniuk is a dentist with more than 10 years of experience. 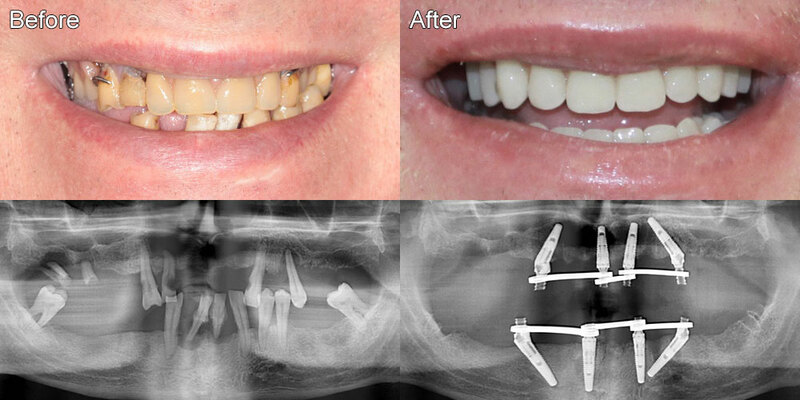 Specialization is dentistry, installation of dental implants, bone plastic, periodontology, prosthetics on implants. 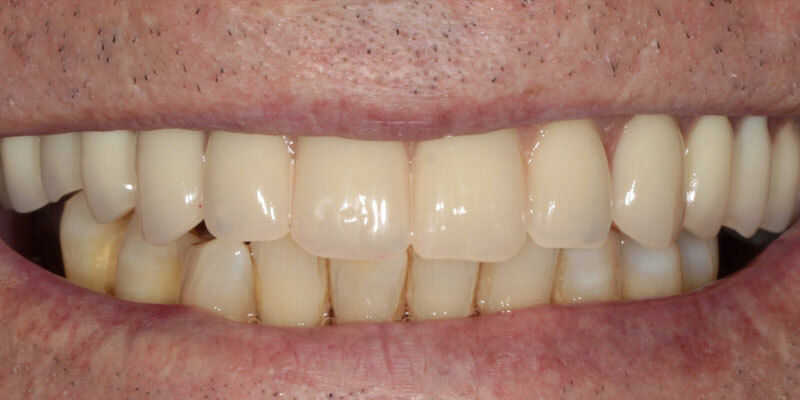 He is an expert in digital dentistry, making restorations using CAD / CAM technologies and digital planning. 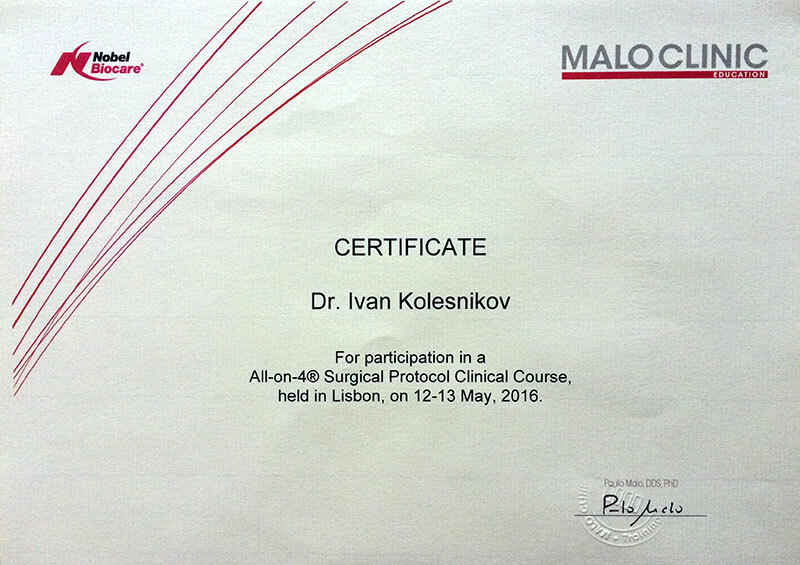 He completed a three-year post-graduate program of studies in PZL in ČR and received a certificate of a dental surgeon from ČSK. 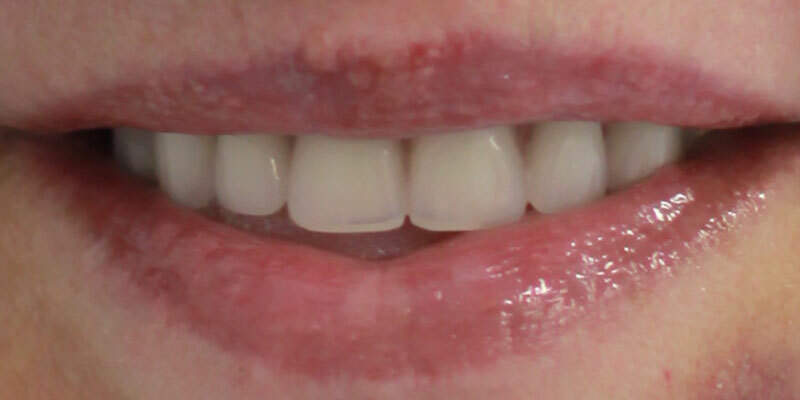 Since 2012, a member of the Czech Dental Chamber (Česká Stomatologická Komora). 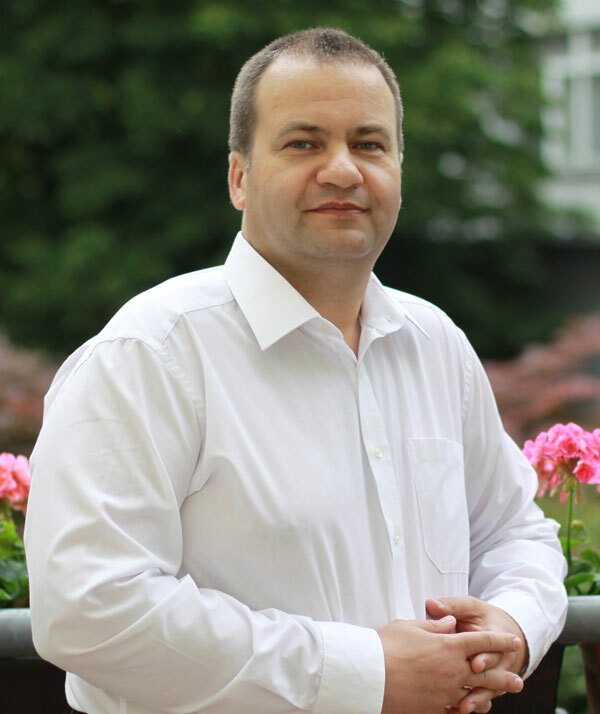 Since the end of the university, he has attended more than 60 different courses and seminars. He speaks freely Czech, English, Russian. During the consultation and on the basis of computed tomography, we offer several treatment plans and financial calculations. 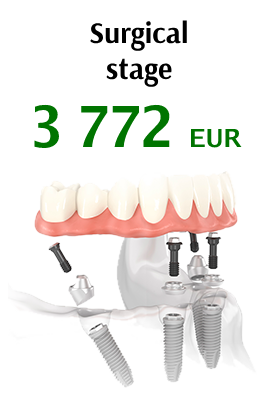 The All-on-4-5-6 protocol allows restoring the function and aesthetics in edentulous patients and patients whose remaining teeth have to be removed (the offer is valid for the upper and lower jaw). 3D computed tomography, digital jaw scan, photo protocol, consultation from a surgeon-implantologist and a prosthodontist, preparing an individual treatment plan (1 day). FOR FREE! 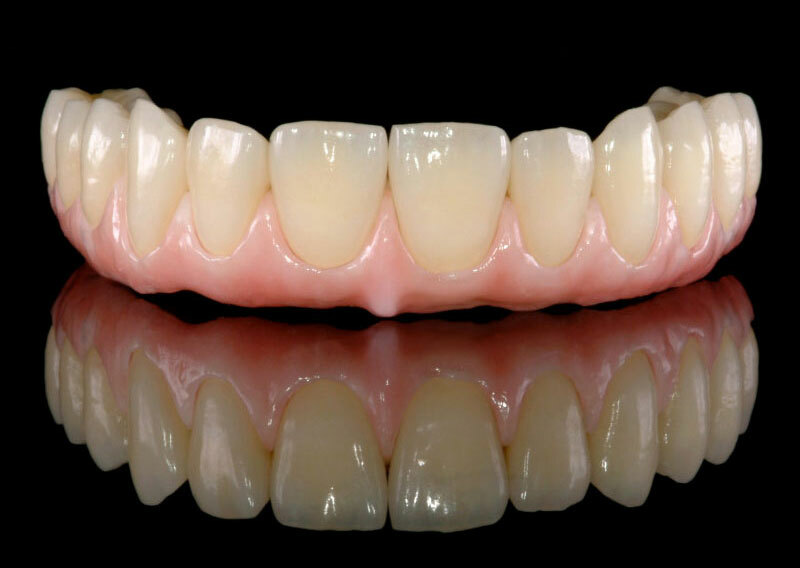 3D planning and modelling of a surgical template and a temporary bridge. Printing a template on a 3D printer and milling a bridge. Replacing a temporary bridge with a permanent one. 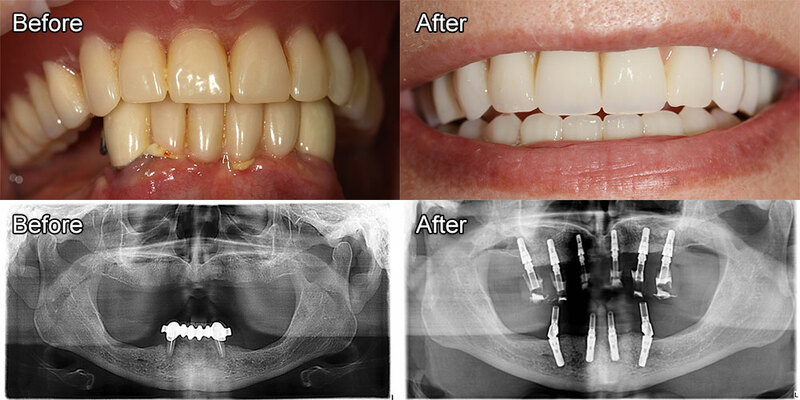 After 3-6 months (after the installation of implants), a digital scan and the manufacture of a permanent structure (according to an individual treatment plan) are carried out. 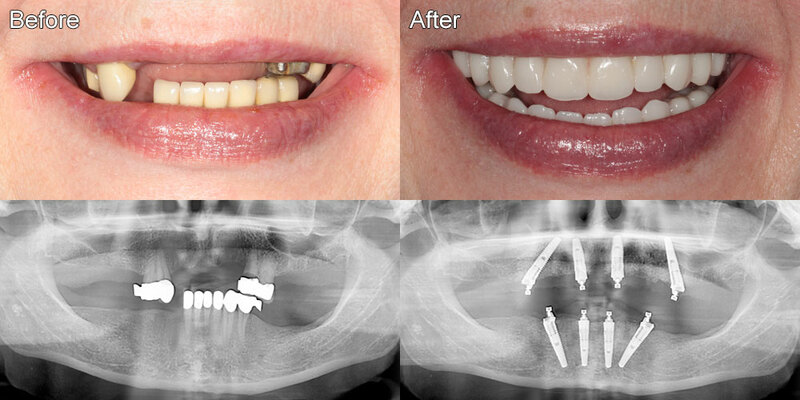 We offer this option only on the lower jaw due to the anatomical features of the edentulous jaws. 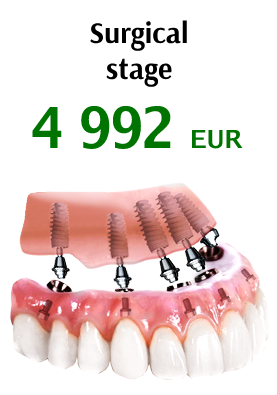 This offer is suitable for patients for whom it is impossible to install 5-6 implants, who do not have teeth, or remaining teeth have to be removed. 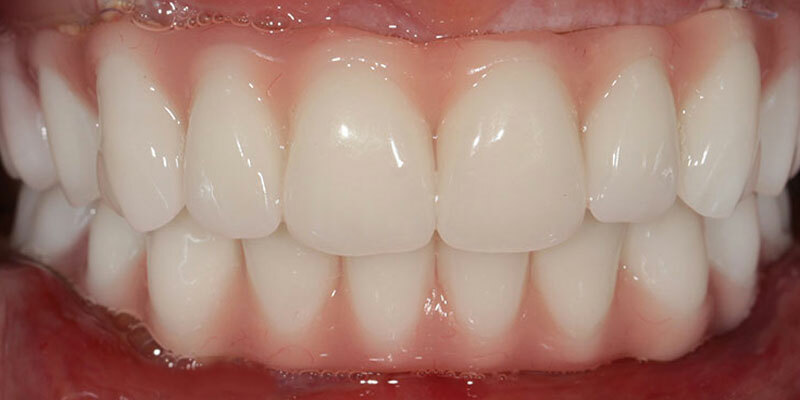 When using this technique there is no need to pre-remove the remaining teeth on which bridges or removable dentures are mounted. Teeth to be removed are removed during surgical procedure. 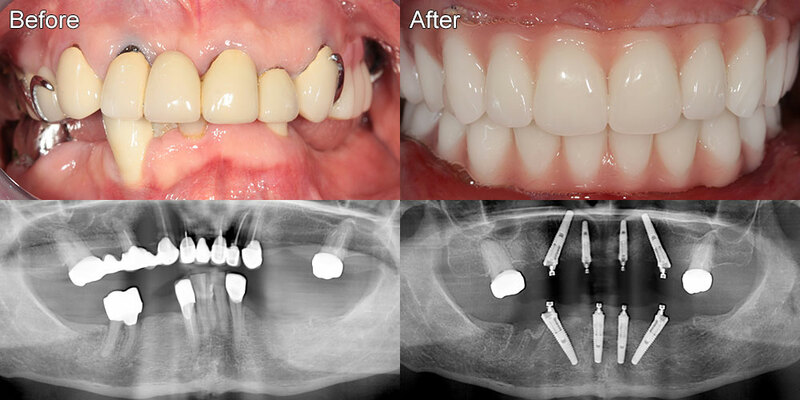 Using the surgical template, 4 implants and 4 interfaces of the Neo Biotech system are installed. 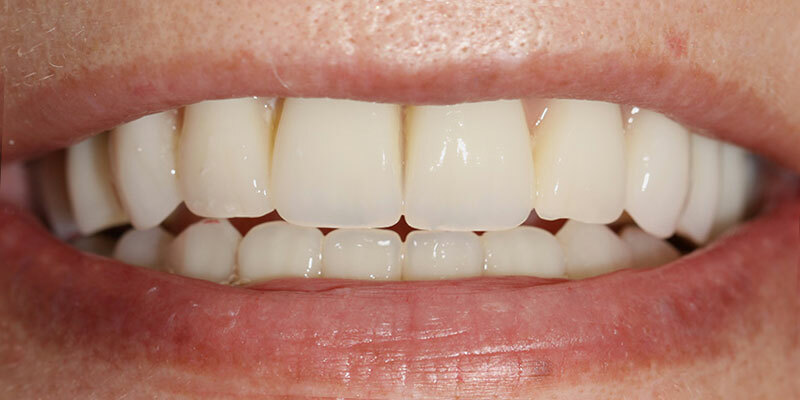 Immediately after dental implant surgery, the patient receives a temporary implant supported bridge consisting of 8-10 teeth. On the next day after surgery, inspection and correction of the temporary bridge is performed. 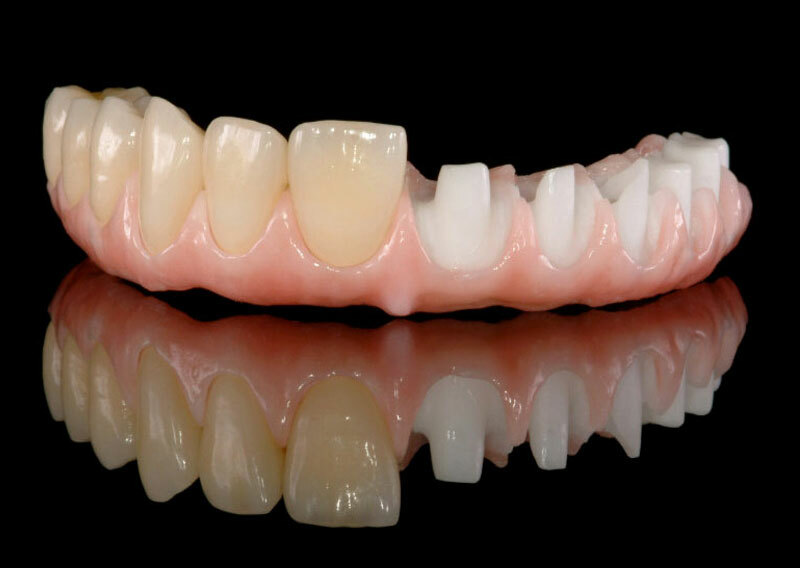 3D planning and modeling of a surgical template and a temporary bridge. 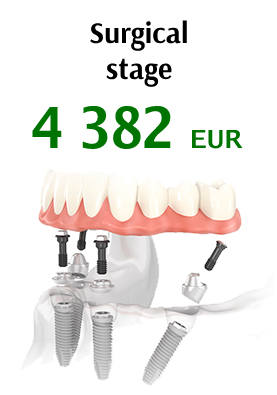 The total cost of the second arrival is 3360 €. 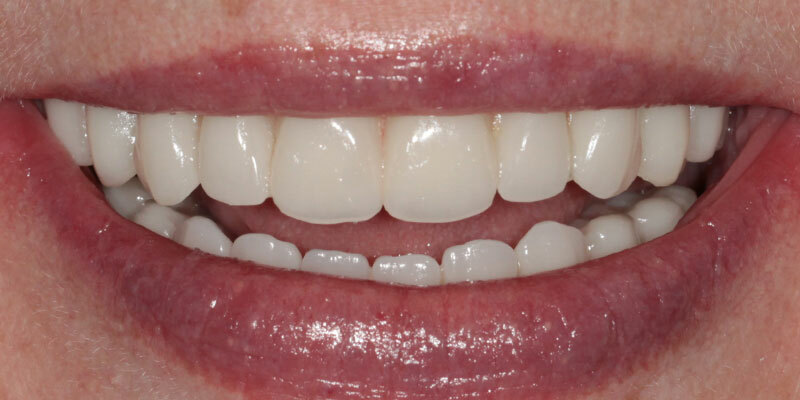 The All-on-5 protocol allows restoring function and aesthetics in edentulous patients and patients whose remaining teeth have to be removed (the offer is valid for the upper and lower jaw). Why exactly 5 and not 6 implants? 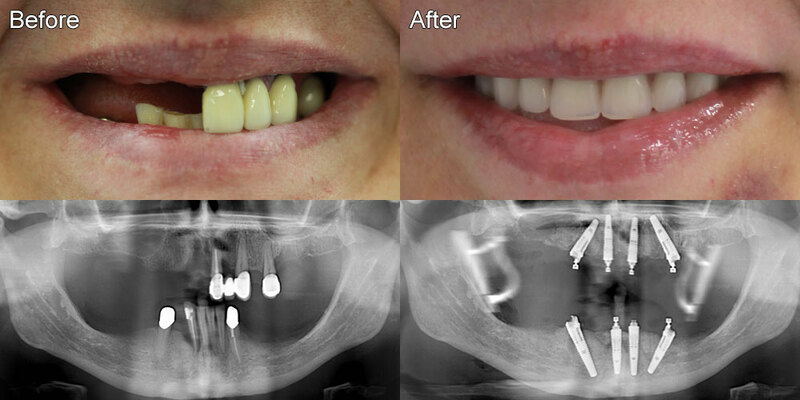 Often the bone tissue that remains in the patient after tooth extraction is not enough to install six implants, or bone grafting is necessary for their installation, and this increases the cost and duration of treatment. Based on many years of experience, we have developed a new digital protocol using 5 implants for the rehabilitation of such patients. 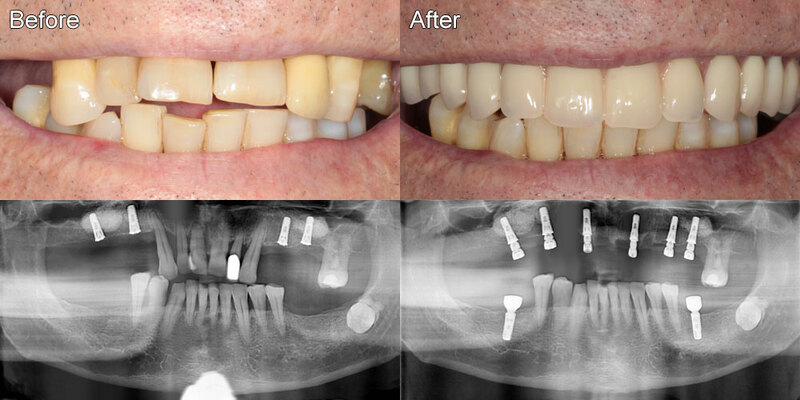 With the help of a minimally invasive procedure, it is possible to put 5 implants with simultaneous fixation of screw-retained dental prosthesis. The total cost of the second arrival is 4150€. 3D technology and the presence of a high-tech laboratory gives us the opportunity to plan and place 6 implants with simultaneous fixation of a milled fixed prosthesis. The total cost of the second arrival is 4940€. Consultation of the dental surgeon-implantologist + complex diagnostics, including 3D tomography - for FREE! Treatment plan and financial calculation are valid for no more than 6 months since the diagnostics. All digital information obtained is not issued on the hands and remain the property of the clinic. 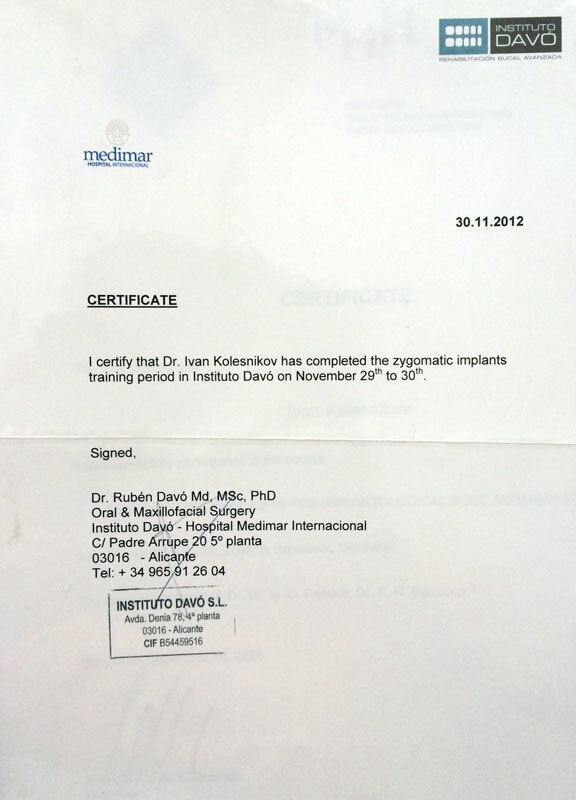 Diagnostics is carried out by the medical staff of the clinic only by appointment.